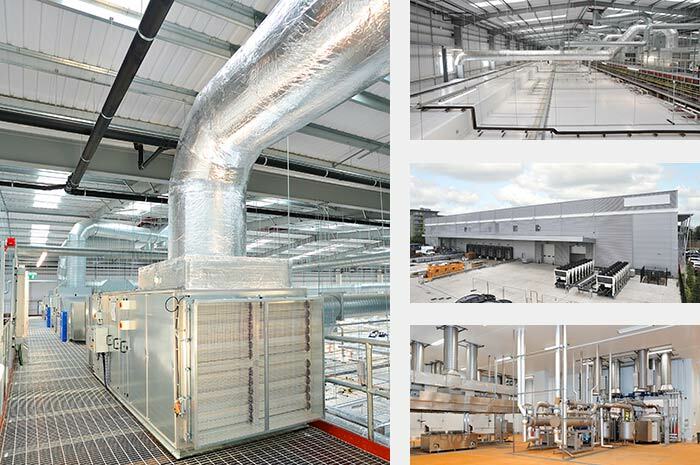 SERVICES: AMD Design & Build and Principal Contractor. 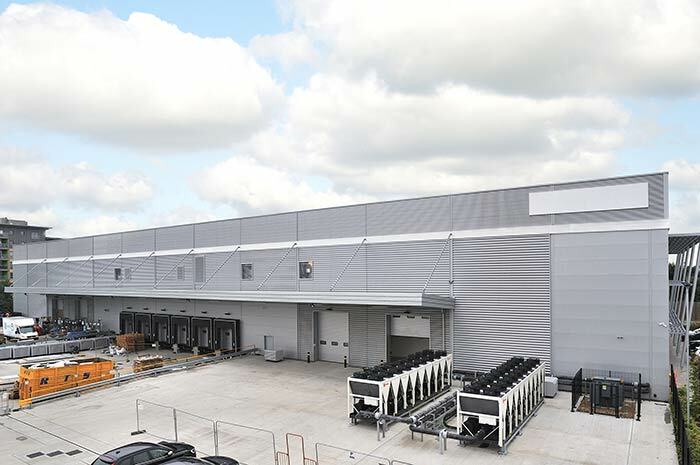 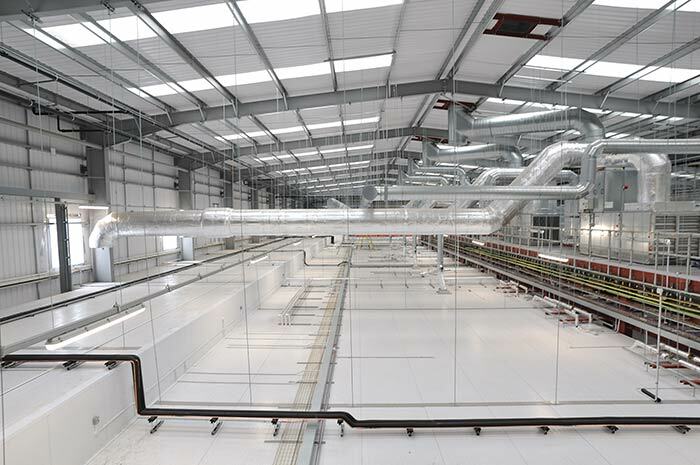 This was a bespoke 100,000 sq ft food production unit for a major high street food retailer. 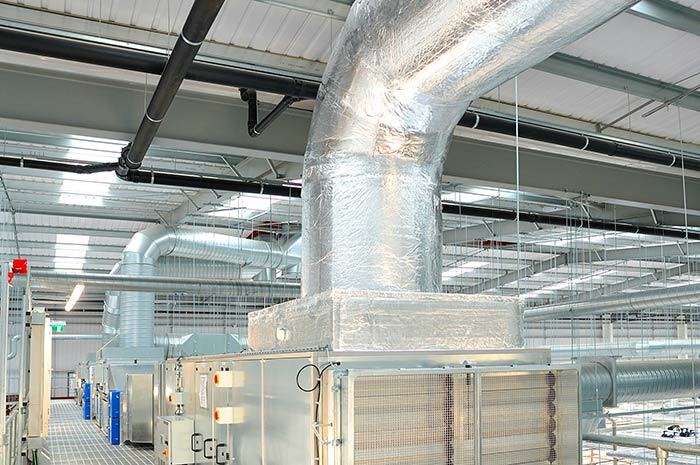 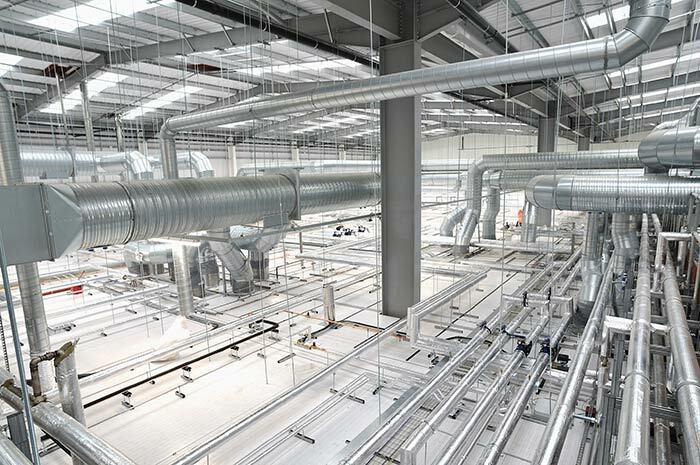 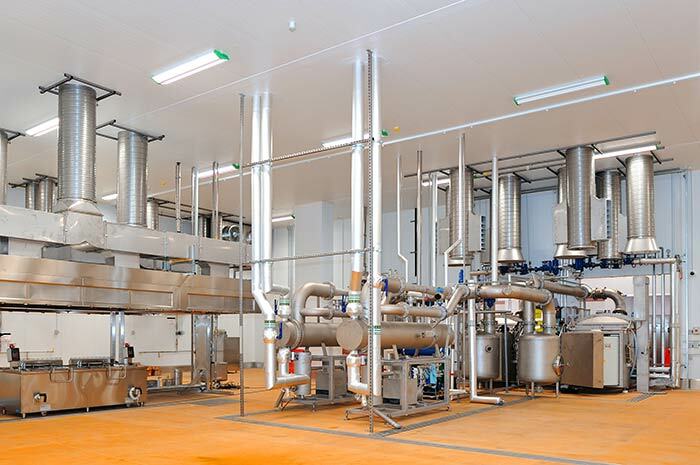 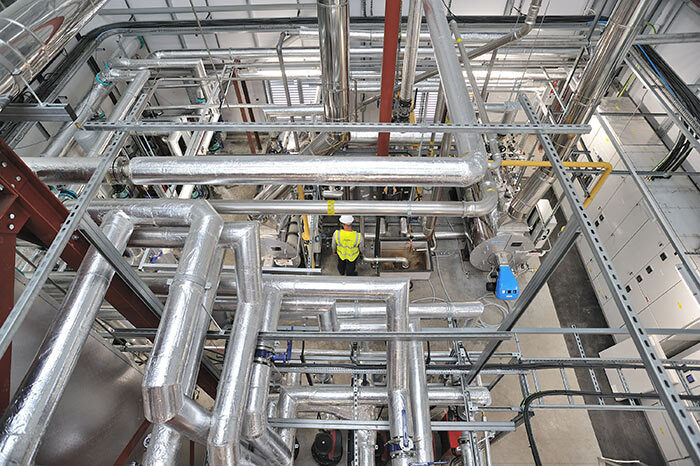 Work consisted of general and food processing centralized ventilation and distribution ductwork; process cooling air supplied via evaporators; Kitchen extract hood installations; Roof ventilation/smoke extract; Steam generation for process and wash down; Hydraulically segregated chilled water cooling installations; Chilled water cooling installation; Softened water for process; Domestic hot and cold services; Welfare waste and specialist kitchen drainage system; Spot cooling VRF, associated BMS and controls; Compressed air service; Access control / CCTV Data and IT; Lighting & Power; Fire Alarm.